I appreciate the info. I took a peek in the Detroit CL ads and didn’t have any luck. Mine is a 2015, 1500 w/ fogs, w/o PAS. I’ve finally given up and went aftermarket front and rear. They were cheaper than a factory front. Put a little lift on the truck too so it won’t look weird. Oh their insurance is definitely covering it. Have you priced a factory bumper though...? Yikes! I could spend some of that bumper money on fun upgrades instead of just a plain ole bumper. People take them off and go custom all of the time. Figured why not give it a shot. I am looking for a complete front bumper assembly for a 2015 Chevy Silverado 1500. I need the model with fog lights and without parking assist. I would like a new take-off or a like-new used bumper. 1 or 2 minor blems ok, but no major scratches, no dents, and no rust. Some phone-watcher hit mine and I need to replace it! I appreciate it. Bought a set already. Nice looking seat covers at a really good price. I wish like heck they were for a double cab. I'd be all over them. Bump for a great deal! I guess there’s no way to remove the post, but I bought a set of wheels. 2017 Nissan Titan XD wheels. Looks amazing! Got a set of black 20’s today. Thank you! I think I’m going to pass. I really don’t want to go larger than a 20”. Thank you! giveaway Win A Pair Of Sylvania Cube-X LED Lights! 1. 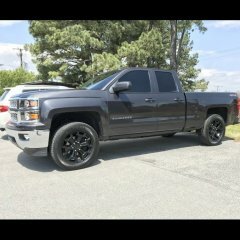 Is accessorizing your truck something that you are currently interested and/or investing in? IF YES: What is your to top priority when choosing accessories for your truck? (Quality/Price/Look/Reviews) IF NO: Why not? (No time/money, inexperience, no vehicle) YES, absolutely yes! I look for quality and top reviews, as they typically go hand-in-hand. There isn’t a manufacturer out there that makes the perfect vehicle, so customizing my truck to suite my needs is an absolute must. I do a lot of homework before buying a product, so it typically takes me a little longer to make a purchase. You typically get what you pay for, but hat doesn’t always mean the most expensive is the best. 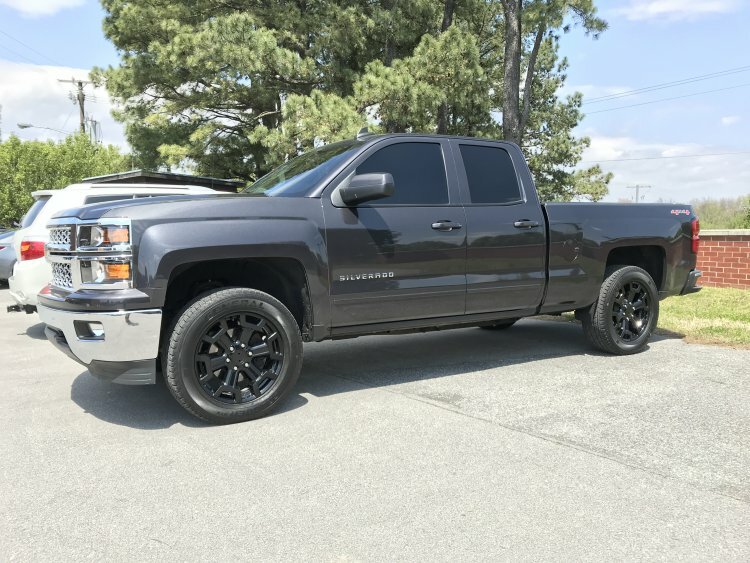 I’ve already picked out a set of Rigid mounts and I’ve been studying how to replace the factory fogs on my 2015 Silverado with a set of Cube-X lights. Now I just have to decide which pattern is going to work the best for me and where to buy them (unless I win a set here). I’d like two different patterns if two sets will fit. Also, not many stores are offering the Cube-X (I guess because they are so new)? 2. Would you purchase something because it's priced cheaper, regardless of negative reviews, or options of higher-end, better quality products? (YES or NO) NO. 3. Would you purchase an accessory purely based on how it looks? Even if that means the product does not work well or may not work at all? NO. If it’s going to look pretty, it better function (unless it’s just designed to look pretty). The lighting looks great, but I'm not sure I want that light bar on the front of my truck. Wish there was an integrated grill or bumper option. Think those Cube-X would be brighter than the factory fogs? I'd like to find a way to make that work.